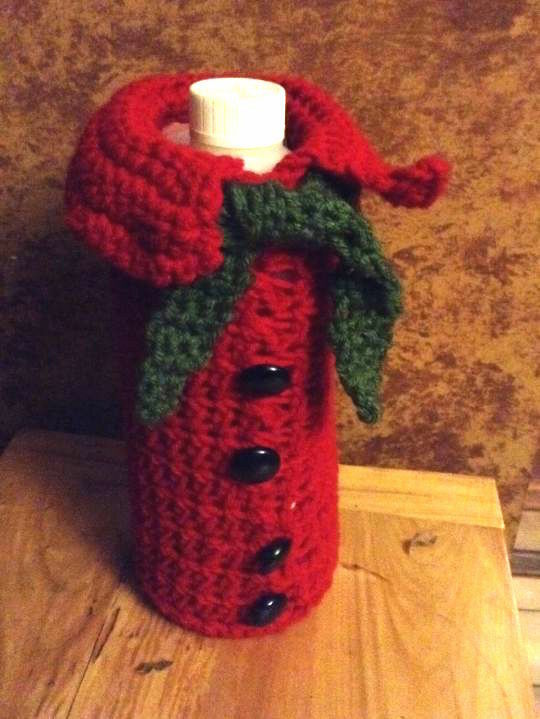 i am making a deliver tomorrow, for my “other job” and I thought that it might be nice to present the bottle in gift wrap. I have been thinking about making bottle covers so this was a perfect opportunity to try it out, as the product delivery is to a good friend. The stitch…. I watched a video the other day where the crocheted connected double crochet stitches in the middle to eliminate the gaps left in dc patterns. So I tried that out and really like the result. I don’t know if I did it the same way as the lady did it but the end result was the same.